September is Hunger Action Month and Oregon Food Bank makes it easy to make a difference. Riane Sherman’s volunteering experience started simply: joining an Oregon Food Bank volunteer shift via her employer. It was an easy and fun way to give back, and seeing the impact that just one volunteer shift makes truly resonated with her. 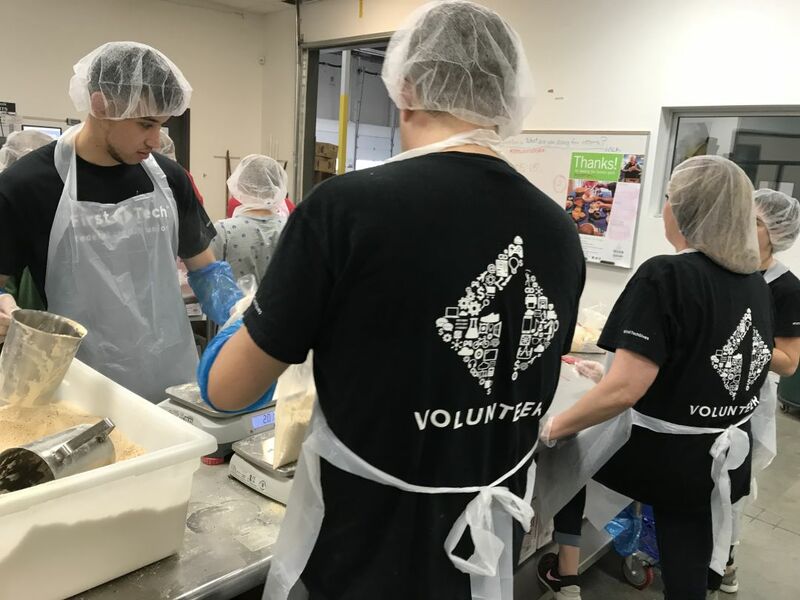 Riane remembers telling her sister she wanted to make it a priority to volunteer at least once per quarter; that action opened the door to discover all of the regular volunteer opportunities that existed within Oregon Food Bank. She was hooked. 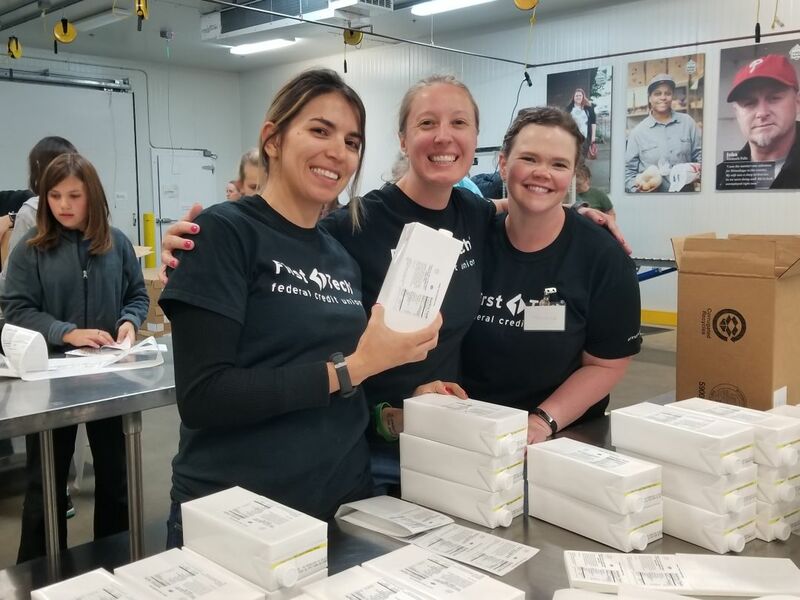 Starting with two to three shifts every week in the perishable repack room (PRR), Riane began to thrive. She made new friends during her volunteer shifts and felt like she was able to make an impact. In addition, she found herself leaving many of her personal stressors behind. In the last five years, Riane has accrued over 440 volunteer hours. She has repackaged produce and sorted donated food, assisted with fundraising events and worked on garden shifts at both Portland and Beaverton locations. She also served on Oregon Food Bank’s volunteer advisory committee. Riane’s drive to serve stems from her father, who she accompanied to PBS pledge drives as a child while he operated a broadcasting camera. During those times, he reminded and showed her that giving back to the community – supporting something you believe in – makes the time spent doing so feel that much more rewarding. Nowadays, Riane volunteers for several organizations. But she makes sure to get in a few shifts every month with Oregon Food Bank, as she truly believes in the message that no one should have to go hungry. Luckily, Riane’s employer also believes in giving back. She’s an Experience Center Support Specialist at First Tech Federal Credit Union, where a commitment to service runs deep throughout the halls and branches in Oregon and Southwest Washington. First Tech views its charitable role as supporting innovative solutions to our communities’ most pressing needs – removing access barriers and ensuring children and families have the food, shelter and safety they need to learn, grow and thrive. “At First Tech, our members are the innovators of our communities – and we love that Oregon Food Bank is always thinking about how they can innovate, work differently and serve our communities better, focusing on fresh and healthy food, nutrition education and advocating for those who need it most,” says Nicole Frisch, Senior Director of Community Engagement at First Tech Federal Credit Union. 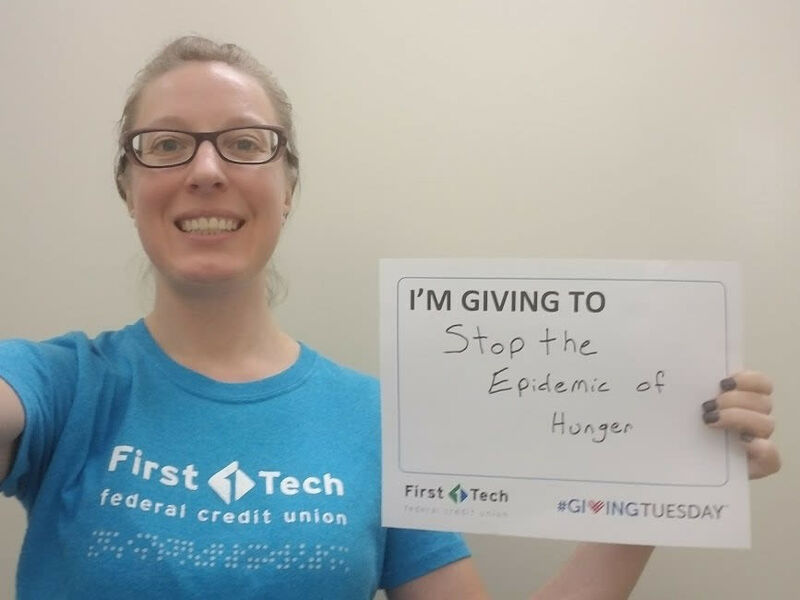 Since 1993, First Tech has donated more than $1 million to fight hunger in Oregon and Clark County, Washington. 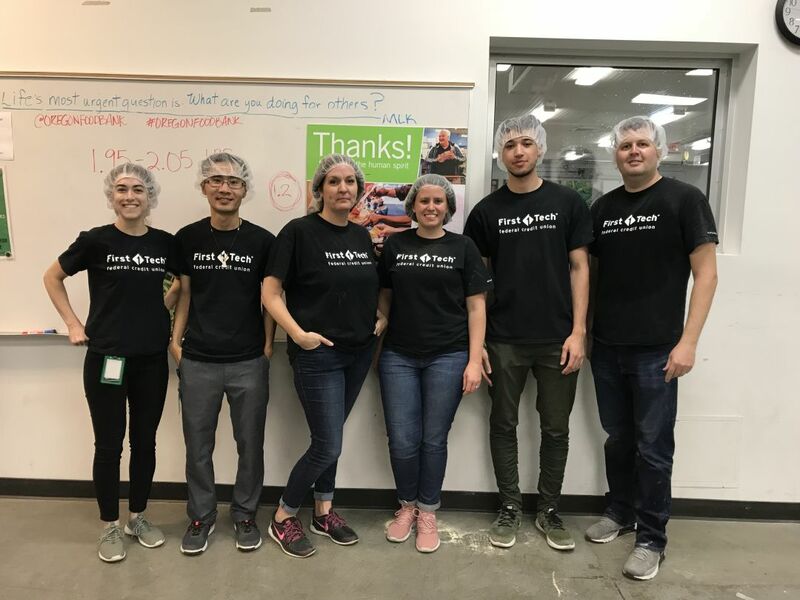 In the last year, their generous support of Oregon Food Bank has enabled Link2Feed data program expansion, food acquisition and fundraising event success. And, along with Riane, First Tech employees have contributed more than 4,000 volunteer hours! This September, it’s easy to take action to fight hunger in our communities. Join First Tech Federal Credit Union in taking action against hunger by donating, volunteering, advocating or engaging at oregonfoodbank.org/hungeractionmonth. Help Oregon Food Bank reach the goal of 260,000 actions — one action on behalf of each person who accesses a food pantry in a month. Every action feeds the human spirit. Oregon Food Bank’s mission is to eliminate hunger and its root causes… because no one should be hungry.